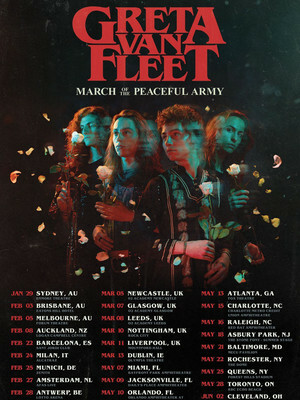 Why See Greta Van Fleet? Combining gritty blues guitar licks, driving drum beats, fuzzy bass lines and occasionally the soulfulness of a gospel-tinged hammond organ, these brothers in rock have created a sound, following and live show that belie their young years. Their skilful songwriting and on stage audacity make for an electric live show, one that transports a whole new generation to the halls of rock Valhalla. Sound good to you? 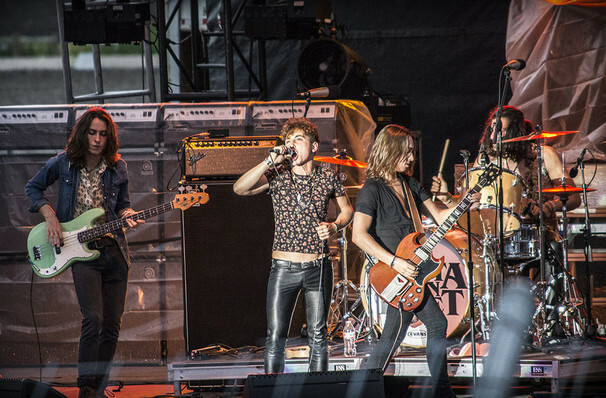 Share this page on social media and let your friends know about Greta Van Fleet at BMO Centre. Please note: All prices are listed in US Dollars (USD). The term BMO Centre and/or Greta Van Fleet as well as all associated graphics, logos, and/or other trademarks, tradenames or copyrights are the property of the BMO Centre and/or Greta Van Fleet and are used herein for factual descriptive purposes only. We are in no way associated with or authorized by the BMO Centre and/or Greta Van Fleet and neither that entity nor any of its affiliates have licensed or endorsed us to sell tickets, goods and or services in conjunction with their events.